Product prices and availability are accurate as of 2019-04-18 12:59:18 UTC and are subject to change. Any price and availability information displayed on http://www.amazon.com/ at the time of purchase will apply to the purchase of this product. Author Bookstand is proud to offer Reign of Light by Bookstand Publishing. Bookstand Publishing offers books by the best indie authors throughout North America and the world. Bookstand Publishing is dedicated to offering original content to a broad audience and promoting great authors, literacy, and freedom of expression. 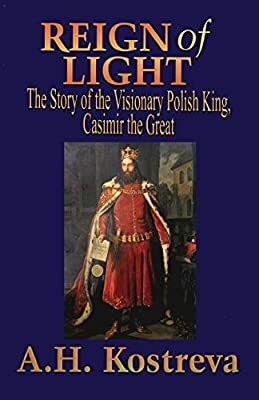 Reign of Light has generated a lot of interest and excitement and we think it would be an excellent addition to your library. This is the story of a man and his people. 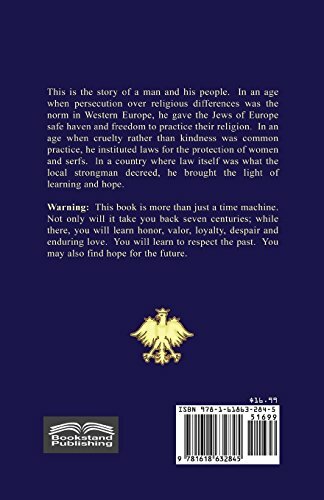 In an age when persecution over religious differences was the norm in Western Europe, he gave the Jews of Europe safe haven and freedom to practice their religion. In an age when cruelty rather than kindness was common practice, he instituted laws for the protection of women and serfs. In a country where law itself was what the local strongman decreed, he brought the light of learning and hope. Warning: This book is more than just a time machine. Not only will it take you back seven centuries; while there, you will learn honor, valor, loyalty, despair and enduring love. You will learn to respect the past. You may also find hope for the future.